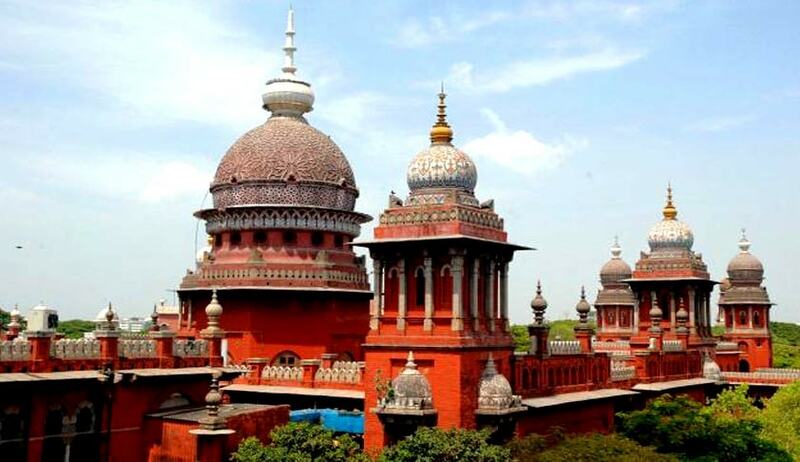 Madras High Court today issued Guidelines to prevent intrusion of person having criminal antecedents without legally studying bachelor of Law Degree for maintaining the purity in the justice delivery system. “Neither Legal Profession is an asylum for criminals Nor law Degrees are shields for their criminal activities ”. Legal profession is blighted by the entry of criminal elements. It is seen from a number of cases coming up before this court and also from media reports that persons with criminal background getting law degrees claiming to be advocates are indulging in criminal activities including conducting “Kangaroo Courts”, degrading and damaging the image of noble profession and for which we have to hang our heads down in shame”, said the Court. 1) Union of India is to consider revisiting of provisions of the Advocates Act including Section 24A of the Advocates' Act, or introduce a new Section prohibiting persons with pending cases or criminals entering into legal profession at the earliest considering continuing entry of criminals, communal and extremist elements at the earliest. 2) Bar Council of India shall direct the State Bar Councils to get antecedents verification of all law graduates compulsorily, from their native place as well as from the place of study, from the police for enrolment. 3) Bar Council of India shall direct the State Bar Councils not to enrol any law graduate with pending criminal cases except bailable cases attracting punishment upto three years and compoundable offences involving matrimonial, family and civil disputes, till the changes are brought in The Advocates' Act & Bar Council of India Rules. (b) To revoke provisional enrolment of the law graduates on conviction after issuing show notice unless the setting aside of conviction is informed to the Bar Council with a certified copy of the judgement. (c) Bar Council of India shall direct all law institutions not to admit candidates with criminal cases except minor offences viz., offences attracting punishment upto 3 years and compoundable offences including matrimonial, family and civil disputes and on acquittal. 5) Bar Council of India shall direct the State Bar Councils not to enrol any law graduate, who had already suffered conviction in any criminal case. 6) Bar Council of India shall direct the State Bar Councils not to enrol any person, who have been dismissed or removed from service or left the services consequent to departmental/inhouse proceedings. 7) Bar Council of India shall direct all law colleges to get police verification certificates compulsorily before admitting the candidates to the law degree course. 8) Union of India shall direct all the States to send police antecedent verification certificate within three weeks from the date of receipt of the request made by respective State Bar Councils. 9) Union of India is directed to implement the recommendation of the Hon'ble Supreme court with regard to introduction of pre-enrolment training (Apprenticeship) to law graduates as per para 31 of the decision in V.Sudeer Vs.Bar Council of India reported in 1999 (3) SCC 176, as the recommendation has not been considered even after 16 years of the judgement. 10) Union of India is to consider positively, within six months, to entrust the functions of the Bar Council of India to an expert body, headed by a retired Supreme Court Judge permanently or till The Advocates' Act and the Bar Council Rules are revisited, nominating Academicians, Legal Luminaries, prominent social workers, retired I.A.S Officers , police officers and Doctors as members as the electoral system followed by Bar Council failed to elect appropriate persons as members of Bar Council resulting in making the Council incapable of handling issues properly. 11) Bar Council of India shall not conduct the next Bar Council election, after expiry of the present term in 2016, without prescribing minimum qualification like 20 years standing in the Bar or a Senior counsel, who does not have any criminal case or criminal background for the candidates to contest Bar Council elections and till the verification of advocates is done as per “Bar Council of India Certificate and Place of practice (Verification) Rules 2015, by entrusting the functions to an expert body. 12) Bar Council of India shall reduce the number of seats in law colleges drastically and the number of law colleges, as the population of advocates is increasing enormously year after year. 14) Bar Council of India shall direct the State Bar Councils to withdraw the recognition/approval given to various Bar/Advocates Associations for the past 20 years maintaining one Court-one Bar Association except older associations. Concluding the Judgment it is held that “ Criminalisation of Bar has already started and is spreading like a wild fire sullying, degrading and destroying the image and prestige of the noble profession. As a member of the legal fraternity and the higher judiciary, for the past 30 years, this Court has been witnessing steep fall in the standards, steady invasion of the profession by criminal, communal and extremist elements, by purchasing law degrees without any basic qualifications and without attendance from Letter Pad Law Colleges and their attempt to disturb normal Court proceedings by boycotts, exhibition of unruly high handed behaviour inside and outside Court and committing offences and covering up by advocate's label as explained in detail. It is very unfortunate that the so-called Bar leaders and many of the Bar Council members are said to be associated with these elements. If this menace is not prevented and curtailed, the day is not too far when Courts will be conducted as per the wishes of criminal elements and communal leaders ending the rule of law. One needs to take a look at the grim and serious state of the legal profession practically. As a member of the legal profession, this Court hopes that the issue of criminalisation of the profession is seriously taken note of by the Hon'ble Supreme Court and the Central Government and appropriate action be taken to redeem the profession from the clutches of persons with criminal background, communal elements with muscle power, persons with extremist ideology otherwise “NEETHI DEVATHAI” (Goddess of Justice) will not forgive all the stake holders of justice delivery system”. The High Court kept the Petition alive for further orders on 28.10.2015.